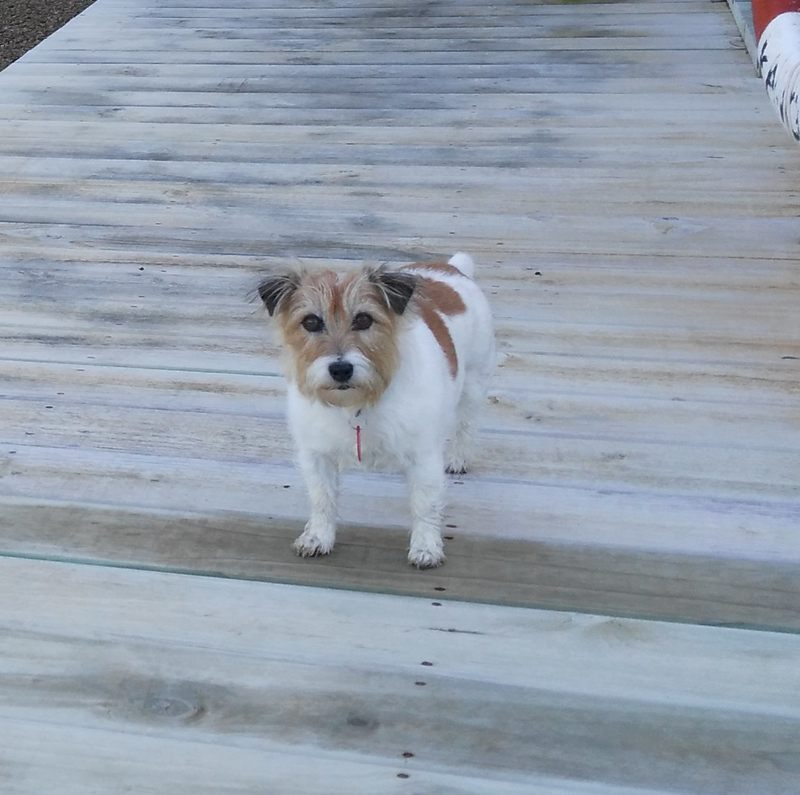 Meet Fifi, my parents' Jack Russell. This dog outranks me in the family hierarchy and being a pack animal, she knows it. I had plans for this dog. New Zealand has a suboptimal system for livestock tracking, and last month the Ministry for Primary Industries released a consultation document and requested submissions on changes to our National Animal Identification and Tracing scheme. From public policy NZ will move swiftly to implementation, and I am interested in exploring potential solutions. 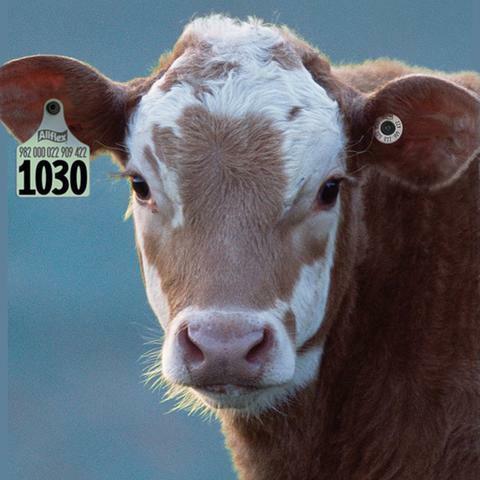 Currently cattle are identified and tracked by an ear tag which has an embedded RFID chip like the one pictured below. In theory animals are tracked by tagging on/off locations with an RFID reader wand but in practise this doesn't always occur and is prone to human error. These shortcomings were brought sharply into focus during the efforts to contain the Mycoplasma Bovis outbreak earlier this year. The solution I'm interested in exploring is IoT with LoRa or NB-IoT. The two largest carriers have rolled out competing networks using these technologies, with Spark rolling out LoRa and Vodafone rolling out NB-IoT. With both solutions the national backhaul provided by the carriers from cell towers will need to be augmented by pico nodes providing local coverage on farms. My preference is to use LoRa (therefore Spark) largely because I have a LoRa network in place at our family bach. Where Fifi and I will be, for the holidays. 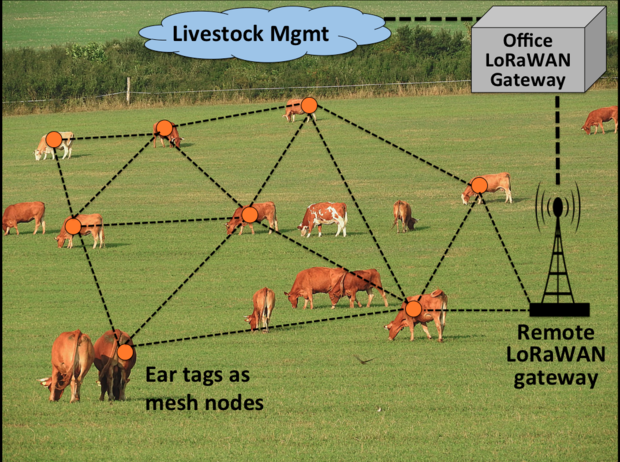 The following diagram illustrates livestock constantly connected to a local LoRaWAN. 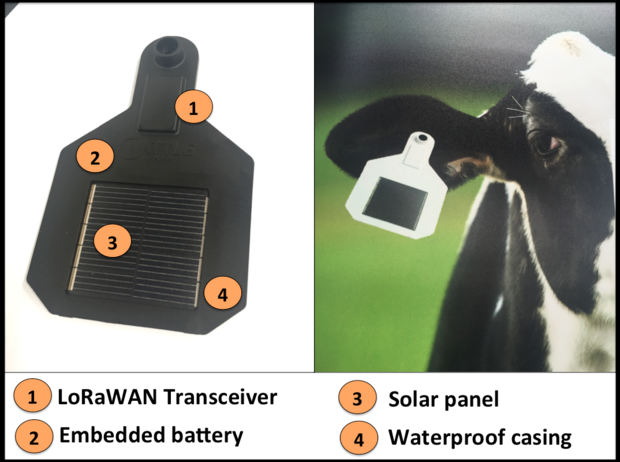 Unlike RFID, with LoRa the livestock will be tracked if they're within range of a gateway, whether that's on the farm or within the range of a Spark cell site: a vast improvement in livestock tracking. And there are additional benefits. The paddle-looking thing pictured below is a LoRa ear tag which also contains an accelerometer (such as in a cellphone) and a thermometer. These two sensors can determine the body temperature of the animal and how much it's moving, both of which are useful for determining animal health. The functionality of these sensors at the physical layer and the potential to perform analytics on the collected data presents the opportunity to design some interesting solutions. I want to play with this stuff over the holidays using the LoRa network I have at the bach. Unfortunately for me I don't have any cows. But I do have Fifi. Yesterday I phoned my parents and asked if it would be okay to fit their dog with a cattle ear tag. Their objection to this was vociferous to put it mildly, it turns out their preference is to fit me with an ear tag rather than the dog. Yes, you read that right. I'm 47 years old and human yet my parents are contemplating having me chipped.